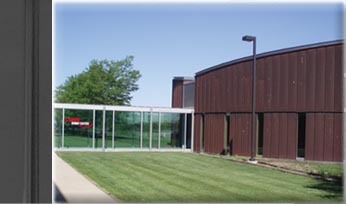 The CPMI Event Center is a 9,600 sf facility located in the Iowa State Research Park in Ames, IA. 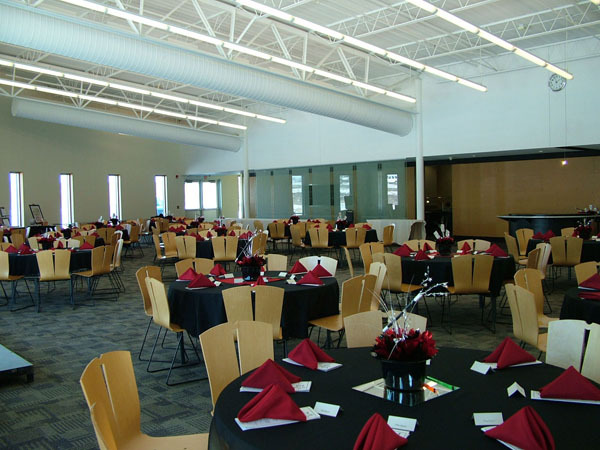 The CPMI Event Center is a great rental opportunity for your next event. Rental rates are per event day. Please contact us for current rates. Reservations are made with the CPMI Events Center's Rental Facilities Coordinator and are made on a first-come, first-served basis secured by payment of the reservation deposit. Please check our calendar for days which maybe available. Payments/Deposits: 10% reservation deposit. Deposit is non-refundable if reservation is cancelled, but may be transferred to reserve another date if done more than thirty days prior to the initial reservation date, and if the building is available. Rental balance is due prior to the event. Setup/Food/Beverage Services: The CPMI Event Center does not provide set-up or take-down, or equipment beyond sound system, tables, chairs, and limited use of the kitchen area. Renters may also bring in their own caterer (must be preapproved) and licensed bar tender to serve food or alcohol. 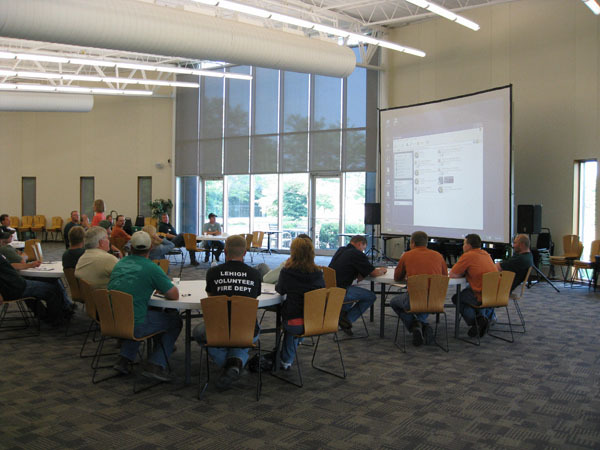 Tables/Chairs: The CPMI Event Center comes equipped with 35 - 5' round tables as well as 20 - 6' rectangle tables and a total of 325 chairs. Smoking is not allowed inside the CPMI Events Center. 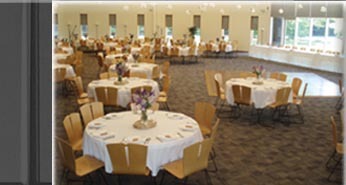 Occupancy: The CPMI Event Center can accommodate up to 350 people for a banquet event. Parking: Ample free parking is available. Internet/Phone: Free phone and internet access. All rentals are entirely governed by the rental agreement executed between the CPMI Event Center and the renter. The foregoing descriptions and specifications are not part of any rental agreement or rules.